Their agenda of racial harmony and social inclusion was pursued through their music, and came to be described as the Two Tone movement. Identified also by their distinctive look, the band wore mod-style 1960s period "rude boy" outfits (pork pie hats, tonic andmohairsuits, and loafers) that were adopted by fans and musical followers alike. The band enjoyed seven consecutive U.K. Top 10 singles between 1979 and 1981. The Specials was ranked among Top Ten "Albums of the Year" for 1979 by NME. In June 2000 Q placed The Specials at No. 38 in its list of the 100 greatest British albums ever. 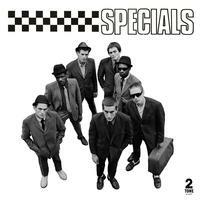 Pitchfork Media featured The Specials at No. 42 in their list of the "Top 100 Albums of the 1970s." Rolling Stone listed the album at No. 68 in their list "100 Best Albums of the Eighties," as the album was not released in the U.S. until 1980.